How Durable is Tufdek™ Vinyl Membrane? For over 20 years Tufdek™ has provided high-quality vinyl membrane for roof decks, patios, decks, and sundecks. But just how durable is Tufdek™ vinyl membrane? Find out just how much work the Tuff Industries team has put into creating a vinyl deck surface that holds up to weather, traffic, and family life. What’s in a Waterproof Vinyl Membrane? Not all vinyl decking is created equal. In fact, Tuff Industries has made it their mission to create the best quality vinyl membrane possible. Investing in serious research and development, the Tufdek™ brand is the result of years of testing. Their aim was to create a product that stands up to the test of time. Regardless of climate, rainfall, snowfall, or heaviness of use – Tufdek™ can take it. Don’t believe us? Talk to our previous customers – they’ll tell you just how well this product holds up. How can Tuff Industries stand behind its products? Through regular testing by third-parties, Tufdek™ vinyl membrane is put through the paces to ensure that it can withstand everything a vinyl deck can have thrown at it. 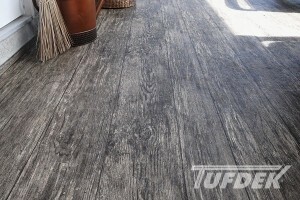 Tuff Industries regularly subjects their waterproof vinyl decking materials to extensive tests and independent audits – in order to ensure that it conforms to national and international roofing standards. Through the testing and certification process, Tuff Industries ensures that every square foot of Tufdek ™ waterproof vinyl decking complies with the industry’s highest standards. Does Installation Make a Difference? 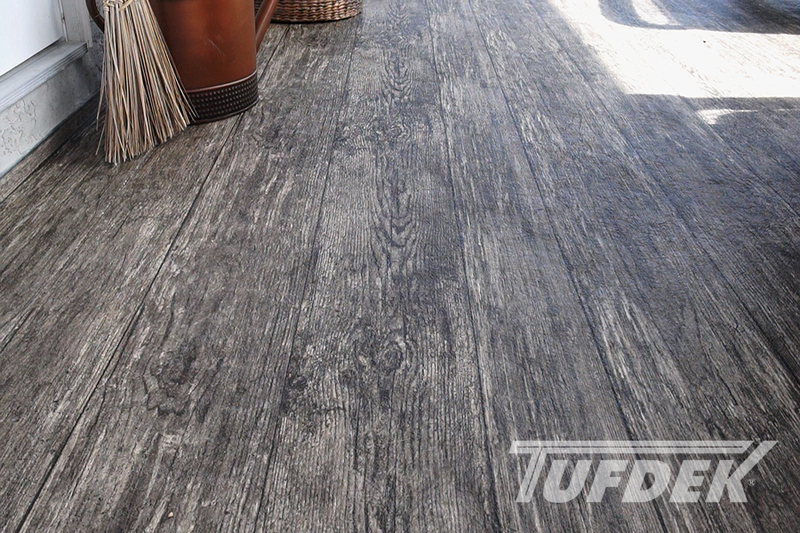 Along with a rugged vinyl deck surface, Tuff Industries believes that professional installation goes a long way towards ensuring a long-lasting vinyl deck surface. 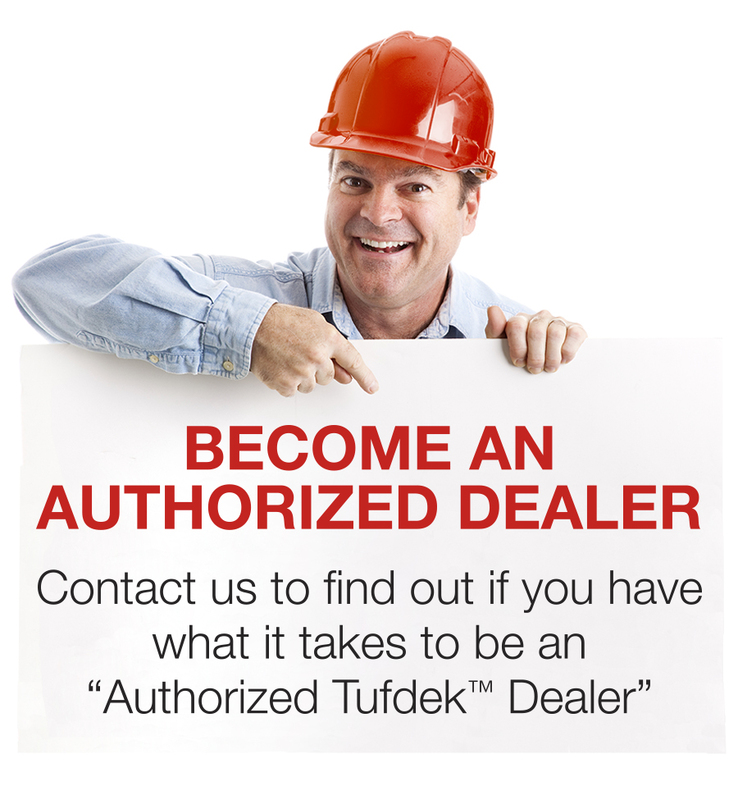 By offering continuing education (CE) courses, “Authorized Tufdek ™ Dealers” become certified in the installation of waterproof decking. This helps them ensure that all products are installed correctly. Using a professional to install a vinyl deck membrane ensures that there is a completely waterproof seal. Installers can also take the time to correct any safety issues before they can become major problems. Once installed, you’ll have a beautiful new deck surface to enjoy. Finally, the best indication of a durable waterproof vinyl membrane is the warranty. Tuff Industries offers one of the best warranties in the business. Once installed, you’ll have long-term peace of mind, knowing that you have chosen a great vinyl decking product to waterproof your deck. 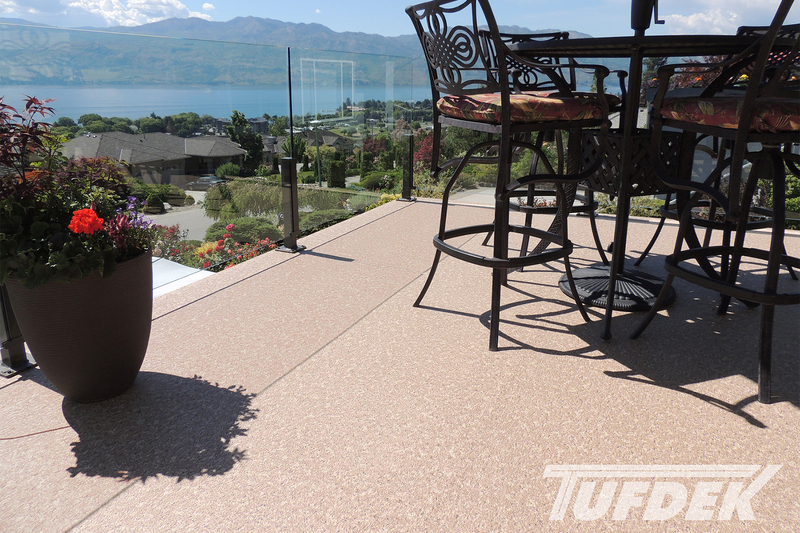 Check out the Tuff Industries gallery of durable vinyl membrane products for your deck or patio and consider the benefits of installing a new waterproof surface on your deck.